We're specialists in student storage! 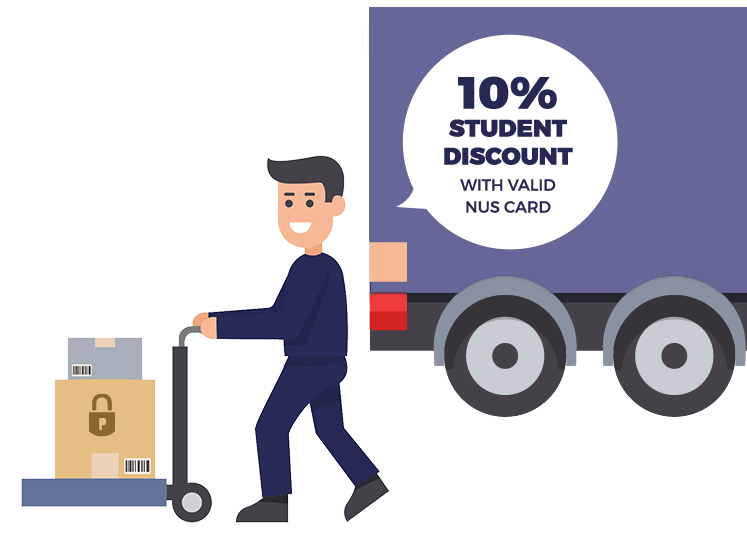 We offer cost effective, secure, student storage for when you need to vacate your accommodation at the end of term. We don’t tie you into long contracts or sneak in hidden charges. We’re local, reputable and professional with many years experience catering to the needs of Cambridge students. We’ll collect your items, store them safely and deliver them back to you when you need them. We even offer discounted rates for students. The easy, no hassle solution to your storage needs at the end of term! Book your student storage now! Call or email to book your storage. Our handy size guide below gives you an idea of the amount of space you may need. The sizes listed below are not exhaustive of the units available – we have storage solutions in all sizes to suit your requirements. The following sizes are a useful guide but we recommend you make an accurate assessment before committing. We recognise the importance of peace of mind and have invested in round the clock security and safety equipment. Constantly upgraded fire alarms and smoke detectors are fitted throughout the building. There is always a fully trained members of staff on site during office hours. Purchased brand new, packaged padlock with 3 keys, to ensure only you have access to your items. Self-storage with 24 hour access. Self-storage with non-24 hour access (Mon-Fri 8.30am - 5.00pm). 50% discounted rates on collection and delivery of your goods from your accommodation. We only need one week's notice when you want to vacate your unit.